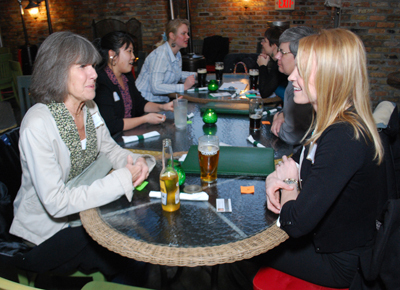 Last Thursday we had a blast speednetworking at Shannon’s Irish Pub for Beer Women and Wellness. 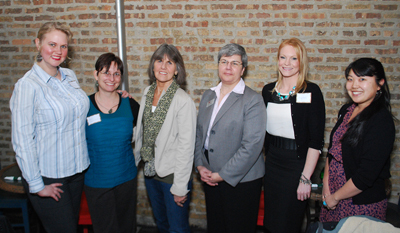 The Network of Entrepreneurial Women gathered in Glen Ellyn to celebrate St. Patrick’s Day with pints and pub grub. When our first round of beverages was ordered (we have our priorities straight! 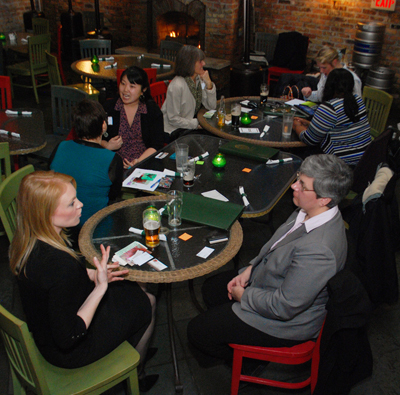 ), we engaged in 4-minute introductions of our businesses to each other. After the bell we switched places to meet the next person, until everyone had met everyone. All that talking needed to be fortified with dinner, which won rave reviews. 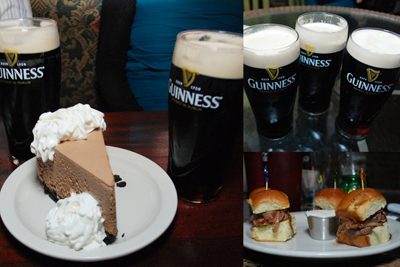 Shannon’s Irish Pub offers fantastic service, delicious food, and a well-varied bar. 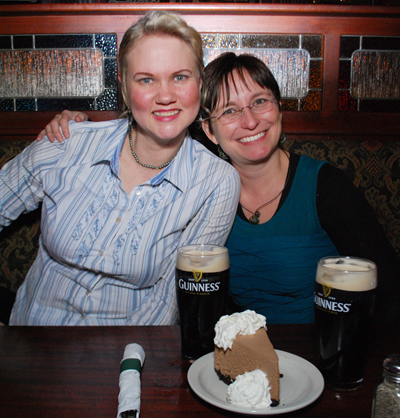 Some of us lingered over beer and dessert afterward. 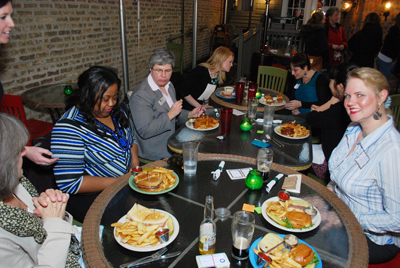 Join us for more meet and greets at our next Meet & Munch among beads. 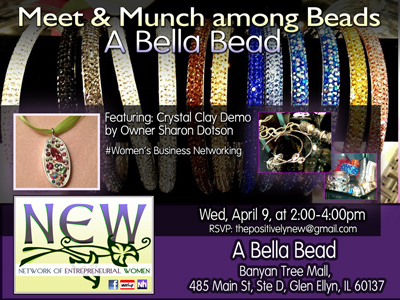 We will return to Glen Ellyn on Wednesday, April 9 from 2 to 4 p.m. at A Bella Bead. Open since October 2013, the store offers beading supplies for jewelry making, including loose beads, strand beads, clasps, findings, Swarovski crystals and lamp beads. Owner Sharon Dotson also provides a venue for beading classes, such as Resin Jewelry, Wiring, Stamping, Beading and Crystal. You can come in and fix jewelry at open table sessions, or throw a private BYOB party. Join us as we learn about crystal clay and spark our creativity with sparkly, colorful jewelry accoutrements. A Bella Bead Boutique is located at 485 Main Street, Banyan Tree Mall Unit D in Glen Ellyn, Il 60137.